Following the Ketogenic Diet and looking for the best low carb protein bars to buy? This post has some delicious and convenient keto protein bar ideas! 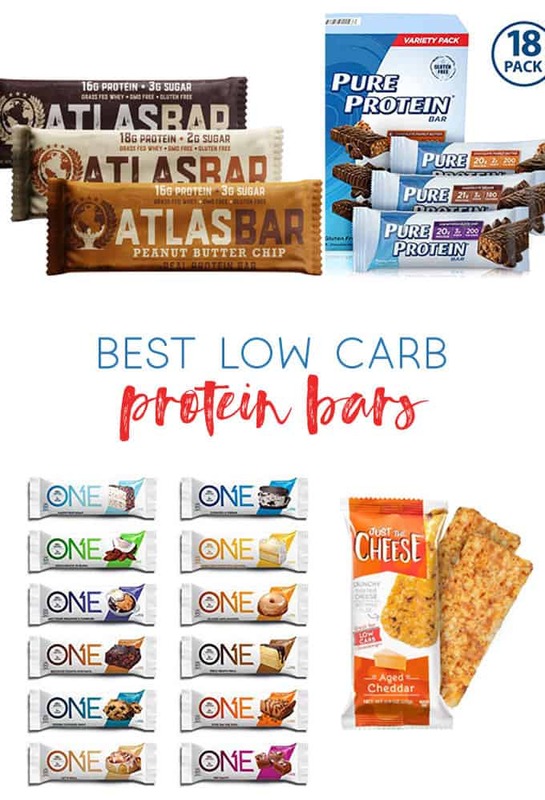 Last week, I wrote a post about Low Carb Protein Bars and Snacks you can make, and I had several people ask me about the best low carb protein bars to buy. I totally get it: it’s so much easier to stick with a diet or healthy lifestyle if you have convenient and easy options at your disposal. So I stopped by the grocery store, picked up a few low carb bars (making sure they were available on Amazon), and gave them a try! To be honest, I am not doing Keto (or any low carb lifestyle), but I AM always looking for healthy and convenient snack options. Here were a few of my picks for the best keto protein bars! Don’t see your favorite on this list? Leave a comment with your picks for the best low carb protein bar. 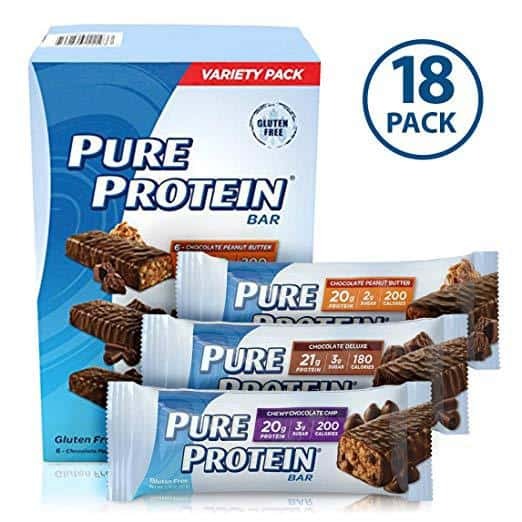 With an average customer review of 4.1/5 stars, Pure Protein Bars are an Amazon customer favorite (I love anything with peanut butter and chocolate, so the Chocolate Peanut Butter was my pick)! Best of all, they ship free with Prime, so you can don’t have to wait to begin your low-carb lifestyle. Pure Protein Bars are filled with 20 grams of protein! It’s the perfect combination of high protein for lean muscle and strength along with a delicious taste! 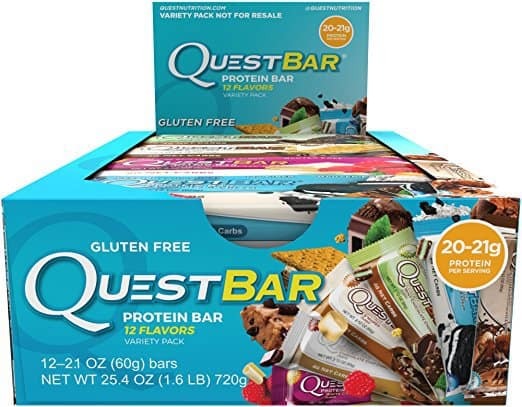 Quest Bars have almost fourteen thousand reviews on Amazon, making them a popular choice with shoppers. For a limited time, you can also get an extra 20 percent off your first order; what a great way to give them a try! Check out all these delicious varieties: Cookies & Cream, S’Mores, Mint Chocolate Chunk, White Chocolate Raspberry, Chocolate Brownie, Chocolate Chip Cookie Dough, Chocolate Peanut Butter, Cinnamon Roll, Coconut Cashew, Double Chocolate Chunk, Strawberry Cheesecake and Apple Pie! It’s hard to know which to try first (though with a variety pack, you don’t have to choose)! Looking for something a little different? 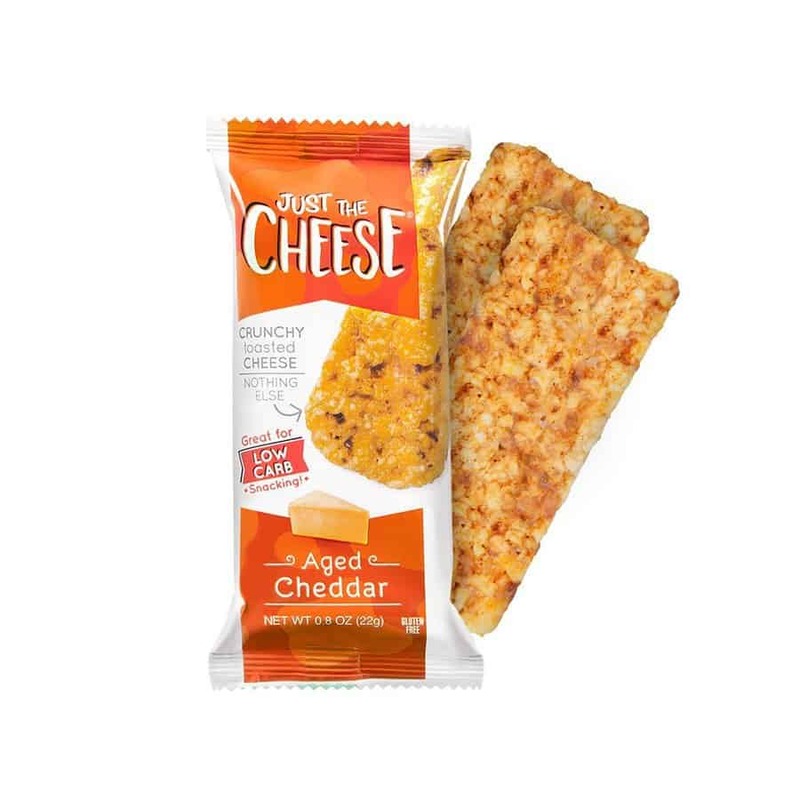 Just the Cheese Bars are a crunchy and delicious baked snack. They come in five flavors, and are made only with 100% all natural Wisconsin cheese. Since there is less than 1 gram of carbs in cheese, these baked cheese snacks are a great low carb treat. 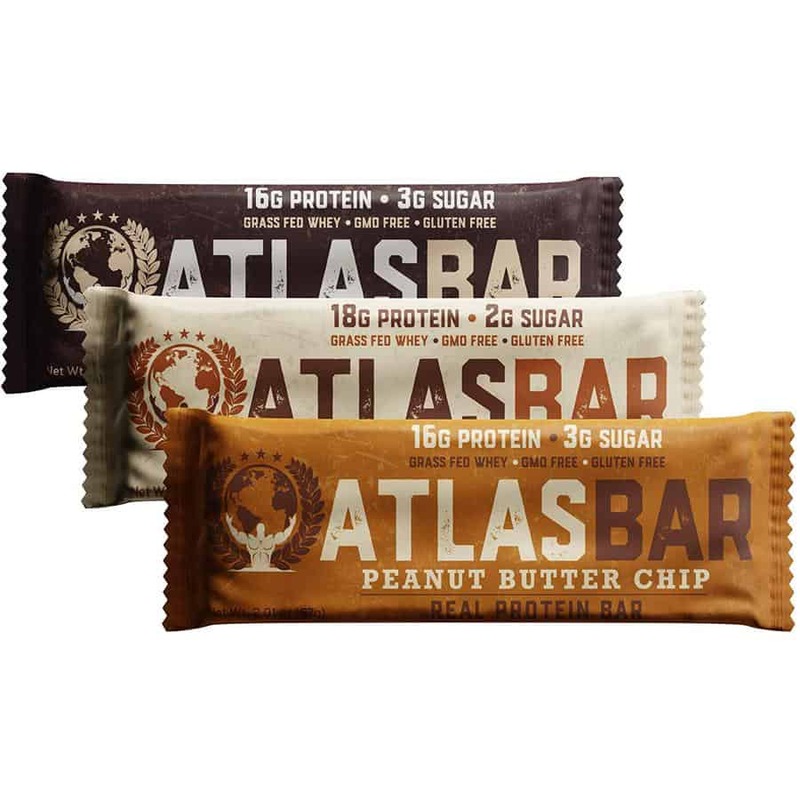 Atlas bars are another popular choice, and they’re made with nutrient-dense ingredients like Grass Fed Whey Protein, Organic Peanut Butter, Organic Coconut Oil and Himalayan Pink Salt. They’re a great high protein, low sugar snack, with 16 grams of protein or more (depending on your variety), and 3 grams of sugar or less. 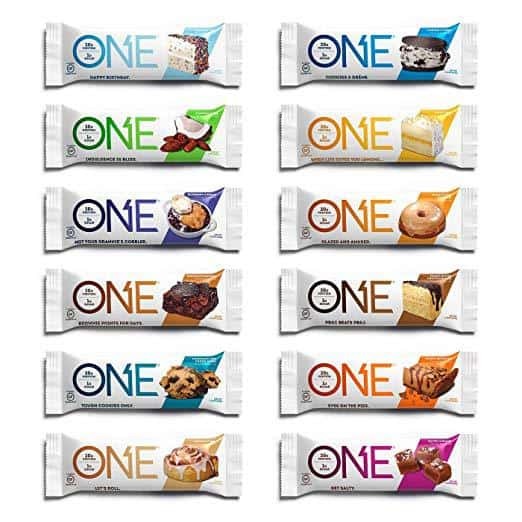 ONE Protein Bar comes in delicious flavors, such as Birthday Cake, Almond Bliss, Blueberry Cobbler, Chocolate Brownie, Cinnamon Roll, Peanut Butter Pie and more! Each bar has 20g of protein and 1g of sugar. Looking to stay on your Keto diet, but are craving something sweet? I share the best Keto Chocolate recipes from top food bloggers here. Thanks for reading all about the Best Low Carb Protein Bars to Buy. Have a great day!